Kindle And Audible Won't Sync! Kindle And Audible Won’t Sync! 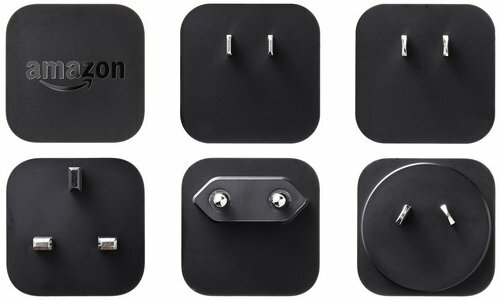 the Kindle Powerfast International Charging Kit, currently being offered at $23.99 — that’s 40% off the regular price of $39.99! Advertisers make it possible for Digital Media Mom to bring you great content each day for free, so thanks for your support. When you own both the Kindle and Audible editions of a given book you can take advantage of Immersion Reading: you can follow along in the Kindle book while an Audible narrator reads the text aloud, and watch as each word is highlighted as it’s being read. And by the way, engaging both your sense of sight and hearing really deepens reading comprehension. To do this, first you must ensure that both the Kindle and Audible editions are downloaded to your device. Then, when you open the Kindle book you’ll see a right-pointing “play” icon at the bottom of your screen when viewing the progress bar of the Kindle book. Tap that icon to start the Immersion Reading feature. Tap again to turn off narration if you just want to read as usual. Sometimes, Kindle and Audible won’t sync like they’re supposed to. A couple weeks ago I had this problem. 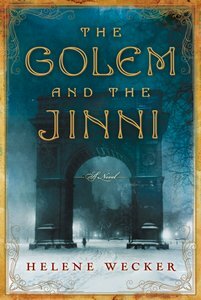 I owned, and had downloaded, both the Kindle and Audible editions of Golem and the Jinni but when I opened the Kindle book there was no “play” icon. Hmpf! 1. Delete BOTH the Audible and Kindle editions from your device—but NOT from the Cloud! 2. Re-download the Audible edition FIRST. Let it finish downloading completely. If the download fails, delete the partial download and try again. 3. Re-download the Kindle edition. When I opened the Kindle book again after completing these steps, the “play” icon was there and everything worked perfectly. Click here for Amazon’s own help page on the topic of Immersion Reading sync problems on a Fire tablet, which covers some other common problems like ensuring your Amazon and Audible accounts are linked, ensuring Whispersync for Voice is enabled, and more. Click here to view Amazon’s Upgrade page, to find Audible narration that’s available to add for Kindle books you already own. Note that Amazon will prompt you to login if you’re not already logged in, as the page is customized to each customer. Also see – Whispersync For Voice: How To Ensure Kindle & Audible Editions Match Up for the simple steps to ensure you’re getting a matching set of Audible + Kindle editions, such that the narration of the Audible edition will exactly match the Kindle book. The Kindle Powerfast International Charging Kit, currently being offered at $23.99 (40% off the regular price of $39.99) is just the ticket for Kindle, Paperwhite and Fire tablet owners who travel. This set has an average review rating of 4.5/5 stars across over 500 reviews, and at 40% it’s a deal that’s tough to beat.